Okay, so I don’t feel like a whole lot of introduction is needed here. 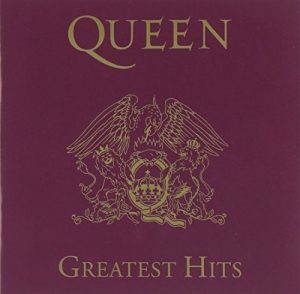 Queen is… well it’s frickin’ Queen. 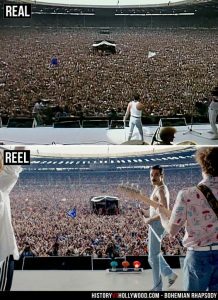 The movie covers from Freddie Mercury joining the band and culminates with the Live Aid performance in 1985. 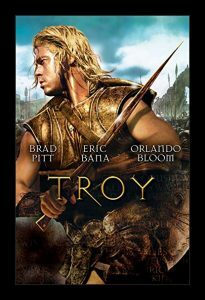 I know there was some controversy about this movie, especially with the time it’s taken to get made, losing actors and directors over that time, and Bryan Singer being fired as director for increasingly erratic behavior and just plain not showing up to work. And, of course, making a movie featuring very prominently one of the most singular human beings to have lived on this earth. I don’t feel I’m hyperbolizing at all here, but I also love Queen so I may have a teensy bit of bias. I mean, even I was skeptical at first, even if that first pic of Rami Malek did look amazing, and wanted to reserve judgment until I saw more (it was that second trailer that got me really on board). And now the movie is out. It’s been very divisive, and that line seems to have drawn itself quite neatly between critics and the general audience. The difference between the audience reviews on IMDB and the critic ones on Rotten Tomatoes is staggering. People LOVE this movie, critics not so much. It’s actually quite fascinating to see the difference in opinion, no matter where you yourself stand. So on which side did I end up, and someone who kind of falls in the middle between general public and critic? I have to go with the people on this one. This film was fantastic. Despite any historical inaccuracies (and there a few), I had a great time with it. The first thing I have to talk about is the performances. Because if the actors hadn’t worked, none of this would’ve. 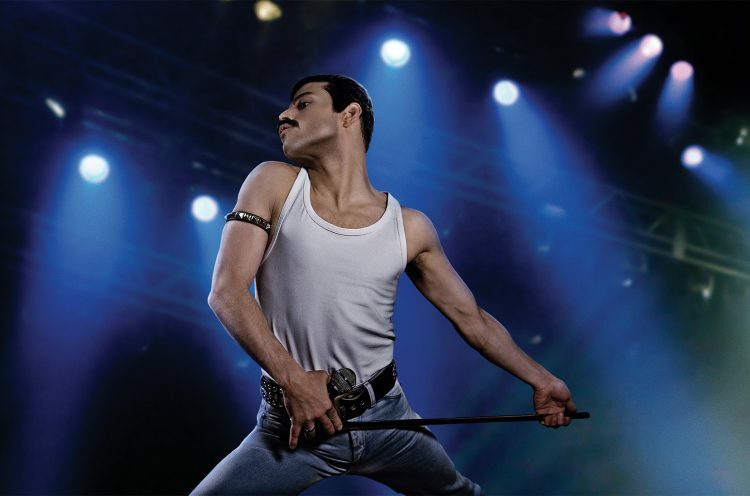 Across the board, even people who didn’t like the movie, it’s acknowledged that the standout here is Rami Malek as Freddie Mercury. I have to applaud his dedication, because he just embodies Freddie in a way I didn’t think was possible. He’s almost effortless in that larger-than-life persona, but also brings so much emotion into his other, quieter side. You feel so much for him, for everything he’s going through trying to figure out his place in the world, even when on top of it. It’s a truly excellent performance. That being said, I don’t want to make it seem like the rest of the cast was slouching. Everyone was fantastic. And the eeriest part is that I’m pretty sure they just cloned the band for this movie, because the actors look so much like their counterparts that it’s honestly mindblowing. 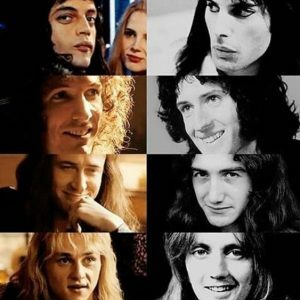 I want to say especially Gwilym Lee as Brian May, but it really is all of them. It’s not just looks either, when you see the actors on stage or when they’re making videos and recording, they have all the little mannerisms down to a tee. Just wow. And huge props (no pun intended) to the costume department, because they did a phenomenal job bringing those iconic outfits to life. Also, Mike Myers is in this movie for a little bit. When he’s on, pay attention to what he says. There’s a line he has that I don’t want to spoil, but if you get the nod, you’ll appreciate it. Secondly, there’s no way to talk about Bohemian Rhapsody without talking about the music. As I said above, each of the actors does a wonderful job of evoking the feel of their respective band members when onstage, and the music is prevalent throughout, which, for a fan of the band (and why would you see this movie if you weren’t?) is awesome. And like I’ve said about other media (TV shows, video games, etc. ): if it brings the subject, in this case Queen, to a new audience who can take what they get from the movie and then broaden their knowledge of it out further, then all the better. I know our kids have been getting on the Queen bandwagon more as of late, since we’ve had it on more often (listening to a 5 year-old singing Bicycle Race is hilarious, btw) in the car and around the house. For a movie that critics are complaining is ‘skimming the surface’ too much, I found there to be a lot of emotion, and I was quite invested in the story and characters. It goes back to the performances being that good. In those quieter moments when you see Freddie’s loneliness or inner turmoil through Malek’s performance, it really hits you. When the characters are together, you feel their camaraderie and the high emotions when they argue, like in a family. Speaking of family, there aren’t a lot of scenes, but there are some great moments with Freddie’s parents and sister that are great. Because not even being a rockstar will stop your mom from showing off the baby pictures to your friends and girlfriend. I thought that was adorable. And the film ends on a high emotional swell, a triumph tinged bittersweet by the unavoidable fate that we all know is coming. unless there are reasons, like 300 being based on the comic rather than actual history. From a story standpoint I can understand why they move Freddie’s diagnosis with AIDS to just before Live Aid, rather than two years later, but I’m not sure having the band ‘break up’ to reunite again to perform that show was necessary. In reality, Queen had just come off tour when they did Live Aid and Freddie’s solo album had been made when they’d been taking a mutually-agreed on break from touring. So, on one hand there’s the dramatic factor, and they’re going to fudge things, but I don’t know if all of them were necessary. It didn’t, and doesn’t take away my enjoyment of the movie, but you do have to be aware that it’s there. Even the Elder Spawn ‘humphed’ when I said it wasn’t 100% accurate this morning when I was asking him on his opinion. For the record he thought it was ‘great’, he ‘liked finding out more about Queen because I wasn’t exactly around for any of it’ (which is fair, considering I was only five when Freddie Mercury died, so I missed most of it myself), and he really liked the performances. The music went without saying. The second big complaint I saw is that the story was ‘too simplistic/standard/safe’, and that not enough was devoted to a ‘deep-dive’ into the band’s personal lives, and ‘glossed over’ things like Freddie’s sexuality and his own origins as a singer and musician. That seems like a lot, but it all kind of sounds similar in nature and I’ll try and condense that very long conversation from last night into a coherent counter-argument. First, the idea of the story being too standard or safe. My counter to this is that sometimes the characters are more important than the story, and thus the story is usually more simple in order to accommodate that. I’m going to make a controversial statement here. Black Panther had the most generic, by-the-numbers, I-knew-what-was-going-to-happen, Hero’s Journey plots. But the characters and the world it presented were more important than that in so many ways that it didn’t matter. The first Deadpool was hardly a deep plot either, but didn’t need it with the character’s outsized personality. As far as the deep-dive thing, in a film covering a span of 15-ish years in two hours, I’d rather see a whole film devoted to just one of these deeper issues and exploring that really hard rather than trying to cram so much into the film we got. Because the complaints would then be that’s its messy and does too much. There’s really only so much you can do. And I don’t understand the idea that it glossed over Freddie’s sexuality, because it didn’t. At all. As far as the band’s earlier origins go, yeah, it would’ve been cool, but that wasn’t what the movie focused on. Again, time constraints. But an early-life and early-Queen movie of its own would be really neat. I understand people want more, but I’ve seen what happens when you get too much in that one movie. And, with Brian May and Roger Taylor heavily involved, and with Freddie Mercury having been such a private person, maybe they wanted to continue to respect that? That’s pure conjecture, but it’s possible. My only real nitpick was that there was one shot during the Live Aid concert where the green screen was pretty noticeable. There was one other things the critics seemed to actually like, and was prominent in most reviews I saw from both sides. 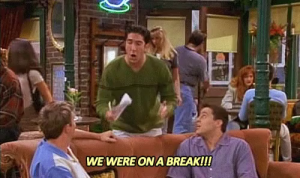 That finale. They recreate a big chunk of the 1985 Live Aid performance. And it’s a fantastic finale. I have watched the full Queen set from Live Aid (a good version here), but seeing it on the big screen here is so incredible. 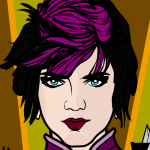 I obviously missed the real thing due to not being alive yet, so this is kind of the closest I’m going to get. And like I said earlier, it’s this triumphant, bombastic finale to a film, a culmination of the journey through the last two hours (and fifteen years). It goes out on a high note, leaving the inevitable of Freddie’s death to a title card instead. I mean, everyone knows that how it ends, why not go out on something amazing? 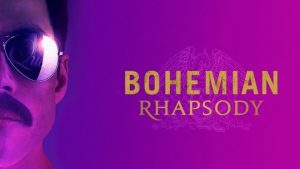 This entry was posted in Movies and TV and tagged 2018, Bohemian Rhapsody, movie review, movies, music, Queen, reviews. Bookmark the permalink. Sorry, moving Freddie’s announcement that he had AIDS before the Live Aid concert is a major distortion. That blows the movie’s credibility. I might catch Bohemian Rhapsody when it shows on basic cable. It would be better if someone would simply re-release the entire Live Aid concert in theaters. That, I would pay to see on the big screen. Thank you. Twice! It actually bothers me to hear people complain that a movie doesn’t do what it obviously didn’t set out to do. I am a king of misuses and if something doesn’t WORK the wrong way, it doesn’t WORK. The whole point of getting an extra purpose out of something is that it is a bonus. When an artist or team or a software developer plus an unconnected artist pulls off doing a lot more than planned, that’s what it IS. A bonus. As in, not to be expected all the time from anyone. For any reason. Ever. Thanks for the review. I appreciate your thoughtfulness in reviewing the film on its own merit. One of my pet peeves is reviews that criticize a film for being a different movie than the one the reviewer wanted to see or would have made themselves. I think that is at the root of the “too simplistic/standard/safe” criticisms you responded to in your piece. That being said, I agree with Atomic Punk that the inaccuracy of moving Freddy’s AIDS diagnosis earlier so they could end with the Live Aid performance made me uneasy. I get it: Live Aid is dramatic and you can’t ignore Freddy’s illness, but it assigns an unnecessarily manipulative motivation to a performance that should and stand on its own as a demonstration of the Freddy’s and the band’s greatness. I don’t know the solution, though, without making the film 30 minutes longer.